Earl Sweatshirt has been an artist whom I’ve paid attention to ever since I discovered him. He contrasts from every other artist I’ve listened to, and he even stands out from the people he grew up around. 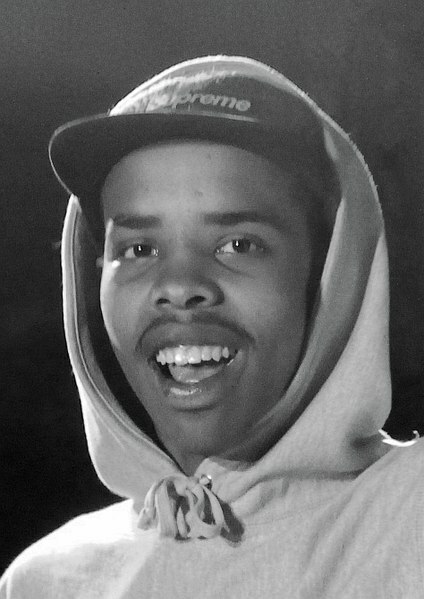 Being one of the founders of Odd Future, you can hear the influences in his earlier projects, like “Doris,” and especially on his first mixtape, “Earl.” The abrasive and edgy sound has stuck with Earl throughout his discography, but Earl has been sanding his sound down, making it smoother with every project released. On this new album, “Some Rap Songs,” Earl paints a glossy finish with his brush of mesmerizing samples and unceasing flow. The years prior to this project have been the toughest years Earl has ever lived through. On only the third day of 2017, Earl’s father, Keorapetse Kgositsile, passed away at the age of 79. Two weeks following this tragic event, Hugh Masekela, an amazing African jazz artist and Earl’s uncle, passed as well. Earl was never close with his father due to him moving back to South Africa to pursue in his evangelistic poetry. One of my favorite aspects of “Some Rap Songs” is how Earl makes you feel empathetic for him and his disconnection from his father. The listeners don’t learn a lot about Earl’s dad, but that’s only because Earl doesn’t have a lot to say since he was never around. He doesn’t make you feel sad through lyrics about his dad, but through the lack of lyrics about his dad. Earl completely smothers you with his in-your-face lyrics and abnormally loud samples. He’s stated that his song-making process consists of finding a sample to loop and then rapping over it, which doesn’t sound that exciting on paper, but Earl keeps it interesting through the mixing. You will be baptized in these samples since they are so loud and lo-fi. The low-fidelity style is executed very consistently on every song. Piano keys will peak, crash symbols will be so loud that they overshadow every other sound, and the static will be so amplified that you’ll think your earbuds are plugged into a record player. This style and aesthetic which Earl creates with the low-fidelity cooperates with his dark and dreary tone of voice perfectly. Every song on this album has its own unique personality and mood. The single “Nowhere2Go” sounds like a bunch of JPEGMAFIA samples were put into a blender, which emphasizes the depressing and helpless lyrics. “The Bends” has these sporadic vocal samples that play very spontaneously over some soft guitar. The other single, “The Mint” is my favorite beat with it’s ear-piercing, synth-like piano keys. Earl flexes his producing capabilities by pushing the boundaries of what can be turned into music. The song “Red Water” displays this the most, where the main sample sounds like an old man moaning in pain after being sucker punched in the jaw. Earl gives you such little time to think and process his lyrics that I’m still discovering new metaphors and statements, even after weeks of listening. Every time I play one song, I end up listening to the whole project. Every track flows so well into the next that I feel a sense of incompleteness whenever I only listen to one song. This project is the perfect length for a car ride or a quick nap.